Earlier this week I decided to designate the color purple as this week’s theme. With the unexpected passing of Prince yesterday, it makes the theme even more poignant and very timely. 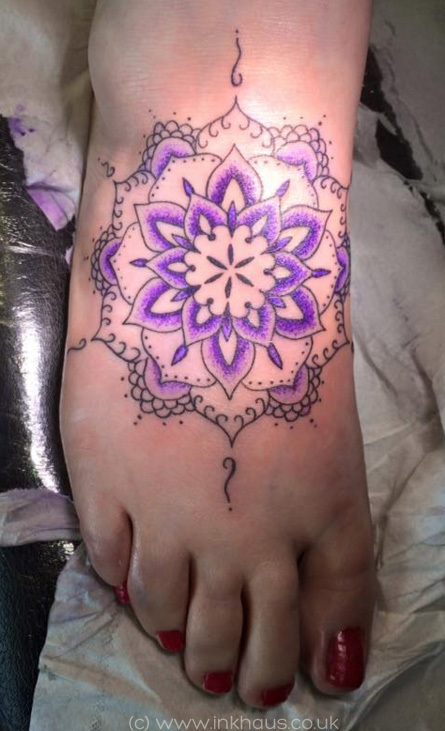 Ink artist, Alexandra, of Inkhaus Tattoo in Yarm, UK, created this beautiful black and purple tattoo mandala. I love the mix of curved lines and dots throughout the entire design and how it looks and feels to be more organically drawn than mechanical. And what a lovely shade of purple! View more of their amazing art via their online portfolio or follow them on their facebook page.